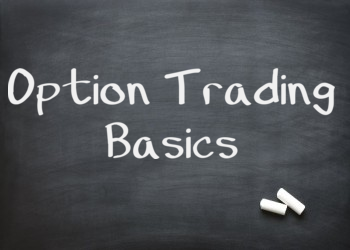 Welcome to the 1rd lesson in the "Option Trading Tactics Bootcamp" series. Here we cover the most important trading rules new option traders should follow. By adhering to these option trading principles, you will become a more consistent, confident, and profitable options trader. I'm a big fan of Pareto's Law. This law revolves around the 80/20 principle, and I believe this transfers over to trading gains and losses. As a trader, you will make 80% of your trading gains from 20% of your winning trades, and 80% of your losses from 20% of your losing trades. Trading losses are unavoidable. Sometimes the market doesn't cooperate with you. But other times there are stupid trading losses, like holding onto a loser or averaging down into a losing trade, where the addition of risk wasn't planned. I believe that the biggest losses come not from a bad market call, but from stupid trading mistakes. If you can eliminate these mistakes and focus on controlling your risk, you will see that the rewards start to "magically" appear in your account. When I say "naked," it can actually refer to a few things. First, it's not about the amount of clothing you have on while you are trading. Some enjoy feeling free, I guess... if you think trading in the flesh gives you an edge, that's great. 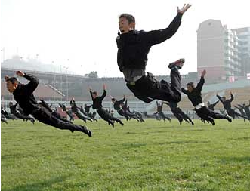 Just don't expect to get picked up by a prop firm. Naked in this sense refers to 2 kinds of option strategies: naked long and naked short. Note that this has little to do with the directional exposure, and instead focuses only on whether you have on single option trades. A naked short can either be a short call or a short put. These trades have limited reward, with unlimited risk. By assuming this risk, you receive a credit. Essentially, if the credit is high and you think the downside risk is low, this is a great trade... for experienced traders. The problem with naked short options is that they have short gamma. That means if the underlying moves against you, the position will be at a loss and increase your adverse exposure (delta). But if you just give it a little more time, you will end up with a profit at expiration. You say to yourself "it'll come back" or at least not head lower so your loss will turn into a gain. The chart above is a put sale in $XOM. If you put this on and then the stock moves to that lower area highlighted in red, you will learn about the "It'll Come Back" syndrome. See, $XOM at 70 at expiration will yield you a profit, but because of the short gamma, you will be at a loss right now, and have the potential for further losses. So if you wait to regain your losses, you expose yourself to even more directional risk-- it's not fun from a trading psychology standpoint. And maybe that the stock stops selling, or does come back... it will work once or twice, but there will come a point in time where you were wrong on the trade and didn't take the loss. The amount you can lose on a naked short can wipe out gains from weeks or months of hard work. Going naked long can also cause your portfolio to suffer, especially if you are new to options trading. 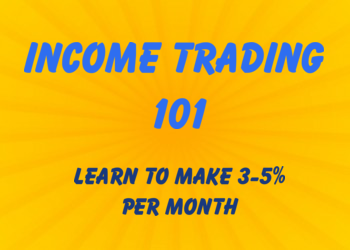 A naked long means being long a call or a put straight up, with no other options sold against the position. It is the most basic of options trades, and by far the most dangerous. Many new traders think that they can take leveraged directional positions with option buying, and that be it. These traders often lack any risk management parameters, assuming that since their risk is limited, they can control the stock for a much lower cost. These traders don't last very long. There are other factors related to option pricing besides the directional exposure (delta). Specifically, we have exposure to implied volatility moves (vega) and loss of extrinsic value over time (theta). If you don't understand how these work when buying options, it will eat away at your trading or investing accounts. 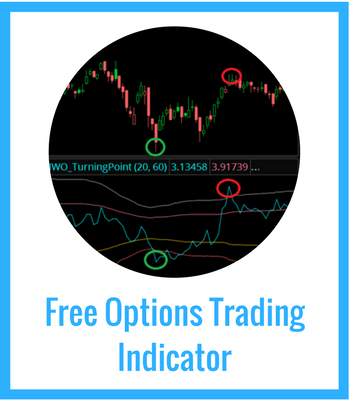 If you are using options strictly for the leverage, you are already at a disadvantage as you are not realizing the actual benefits of trading the options market. So now that I've cut out two strategies, what option strategy should you use when starting out? This option strategy is where you buy and option and sell an option, with the only variation between the two contracts is the strike price. It is limited risk, limited reward. Why do I like these so much for new traders? It removes the other greeks for the equation (assuming there is enough time in the option), so it is much more like trading stock. 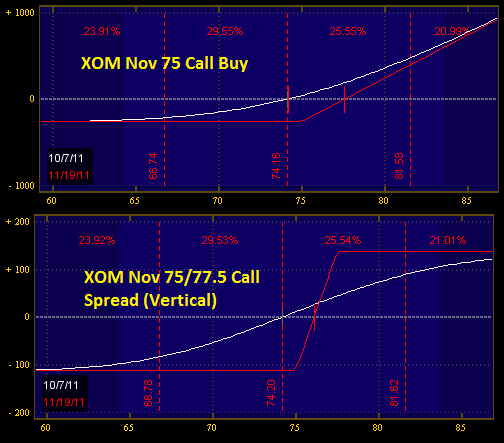 Let's compare two bullish positions on $XOM: a call buy and a call spread. 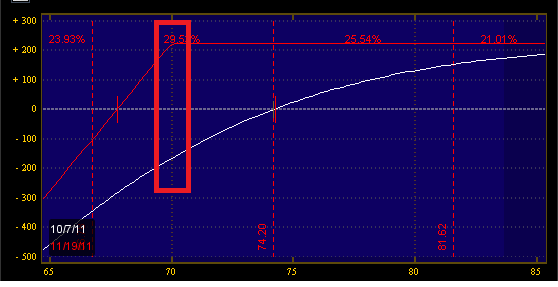 The call buy has a delta of 50, a theta of -3.32, and a vega of 10. The call spread has a delta of 13, a theta of -0.47, and a vega of 0.86. Because of the reduced non-directional greeks (theta and vega), the position will behave much more like stock. If you are coming from an equity-only trading background where directional trades are your style, you want to start with trades like this. Click the button below to move to the next lesson.